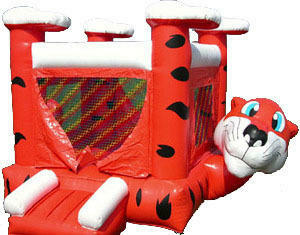 Kids love to bounce on the belly of this friendly tiger. This 15x15 bouncer is fun and lively. A hit where ever it goes.